Last week, I got a package from US. 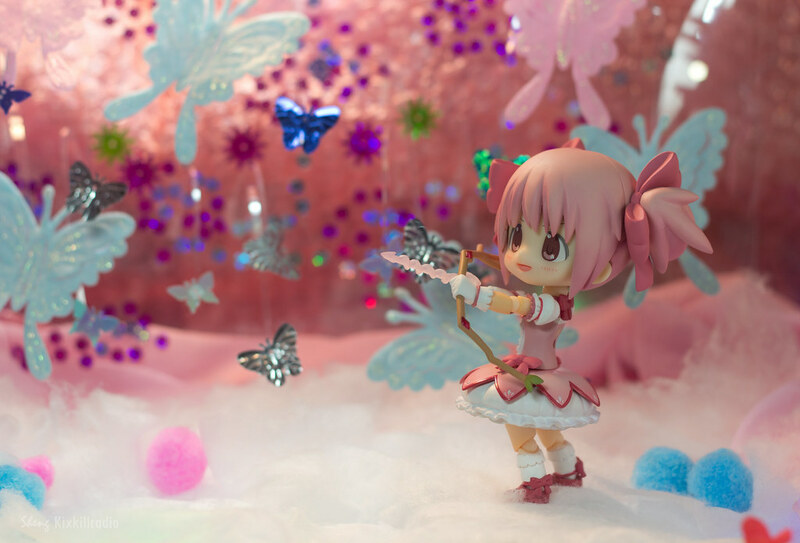 This is Cu-Poche Madoka Kaname. Thanks to Kotobukiya for providing this adorable figure. She is Madoka Kaname from the anime Puella Magi Madoka Magika. I’m not really interested in watching the anime at first. I am not really a fan of all-pink character. But I gave it a try because I don’t have any idea what and who is Madoka. I have to learn Madoka’s personality and what her world is to help me come up with photography ideas. After watching the show, I find Puella Magi Madoka Magika a nice series and that made me fall in love with this Cu-poche figure even more. I don’t mind her being too pink at all, this figure balances everything out, from the detail of dress, lovely red shoes, cute face plates to its multiple articulation. Kotobukiya did a great job with Cu-Poche Madoka Kaname. This is the first set I made for Kotobukiya. I based the colors from its opening theme with all pastel pink and blue. 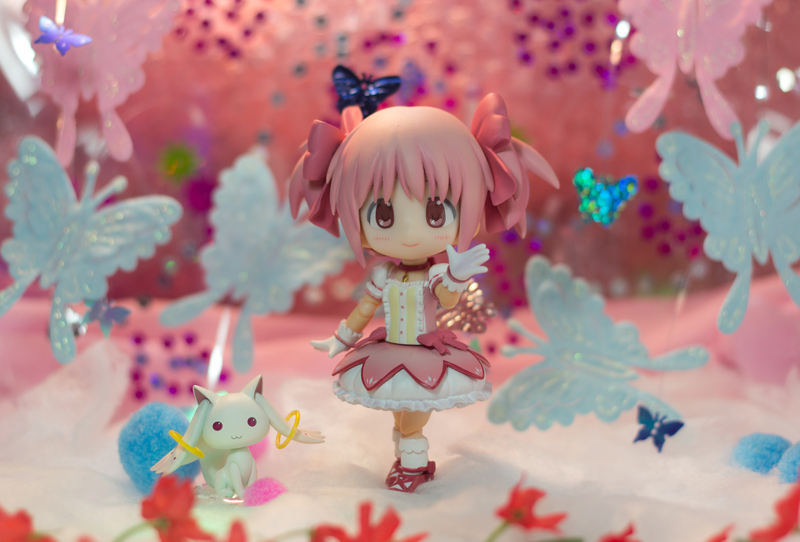 I wanted to make a magical world for Madoka with DIY stage design. These photos are originally published in Kotobukiya Facebook page. Next post will be the other set. Stay tuned! Heya Edgar, thank you! It took a couple of days to complete this stage for Madoka. I’m glad you liked it. Btw, Toycon is almost there, are you going? Very nice figure, and this set you made fits it very well. Looks like the additional joints on the Cu Poche figures is really paying off going by what you’ve been able to do with Madoka and Haruka.